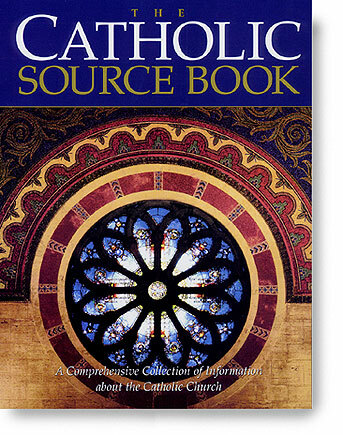 Better than any almanac and more useful than an encyclopedia or dictionary, this is the one Catholic reference book that every home, parish, and classroom needs. Contains the essential teachings and basic texts of Catholic beliefs, prayers, practices, and traditions with extensive references to the Catechism of the Catholc Church. It is filled with clear, concise, accurate information on scripture, sacraments, doctrine, the liturgical year, devotions, saints and heroes, councils and popes, church history, religious practices and customs, Catholic symbols, and much more. It also contains an extensive glossary and index of religious words and terms. 540 pages.